Is Velveeta Bad For You? - Here Is Your Answer. Is Velveeta Bad For You? Velveeta “Cheese” is not even a cheese. It is a concoction of preservatives and chemical additives that allow it to sit on shelves without refrigeration. The only minimally redeeming quality is that you will receive some calcium, CLA and Vitamin A. But, the risks outweigh the health benefits. 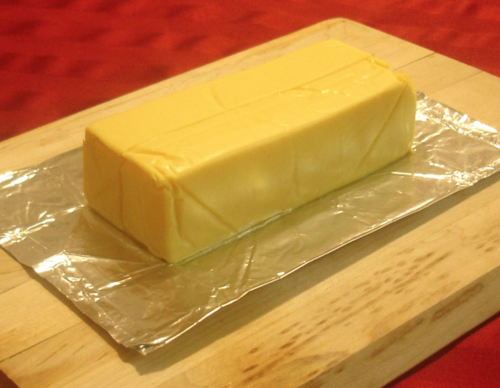 Velveeta “Cheese” carries the label of a processed pasteurized “cheese product” as deemed by the FDA. 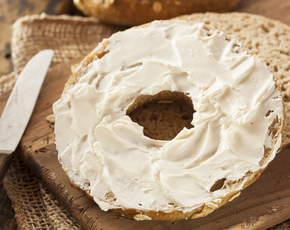 This product is high in fat and calories with little to no nutritional value. 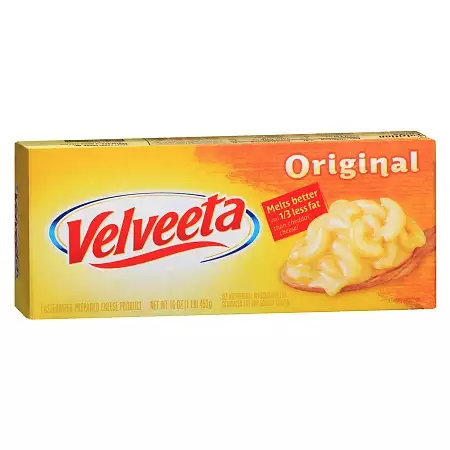 Despite the fact that this product contains numerous chemicals and additives Velveeta has gained popularity over the years-who could think of making queso without Velveeta? The name Velveeta was created to accentuate the velvety nature of this product. Velveeta was created in 1918 by Emil Frey in Monroe New York and became part of the Kraft family in 1927. Velveeta was first advertised as a nutritious health food and in the 1930’s the American Medical Association (AMA) actually gave their seal of approval. 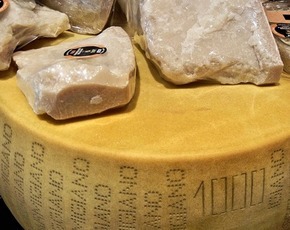 By 2002 after reformulating the product several times the FDA made the new classification of a pasteurized prepared cheese product because they found no real cheese in the product. Again-how can “cheese” sit on a shelf and not require refrigeration. This artificial cheese product has 17 ingredients whereas most naturally produced cheeses contain 3 ingredients – milk, rennet (an enzyme) and a small amount of salt. Velveeta has added milk and whey in the forms of milk fat, milk protein concentrate, and whey protein. With the production of natural cheese, you do not need to add whey-it’s the liquid that is naturally produced after the milk has curdled and been strained. The other question is where is Kraft getting their milk and whey products. The concern is that it is most likely coming from cows raised in factory farms where the animals are injected with hormones, steroids and antibiotics. 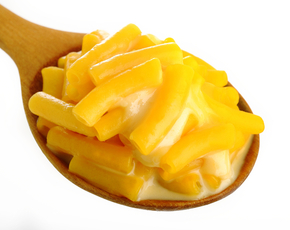 Because of the milk and milk by-products, Velveeta is high in lactose. Obviously for those that are sensitive to lactose they may experience significant gastrointestinal upset in the form of abdominal distention, abdominal pain, flatulence and diarrhea. Natural cheeses are lower in lactose because during the process of making natural cheese the lactose (or milk sugars) is consumed by bacteria that turn milk into cheese. One other thing to mention is that because of the milk ingredients you will ingest CLA (Conjugated Linoleic Acid) which is a naturally occurring fatty acid that has cancer-fighting capabilities and can act as a metabolic booster. 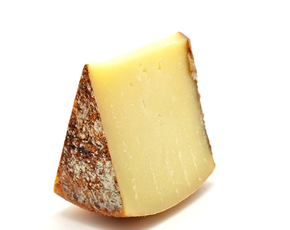 However, in natural cheeses, the amounts of CLA is much higher. One of the preservatives in Velveeta is sodium phosphate. This in addition to regular salt, sodium citrate and sodium alginate boost the salt content of Velveeta quite high. One ounce of Velveeta contains 410mg of sodium. The daily recommended dose of sodium is 2300mg. Several ounces of queso made with Velveeta will shoot the sodium levels up in the bloodstream which poses a risk for individuals with high blood pressure or kidney disease. Additional ingredients include coloring agents apocarotenal and annatto which come from natural sources but annatto has allergic potential. According to a fact sheet published by the Food Intolerance website, annatto is responsible for as many allergic and intolerance reactions as artificial colors, despite its status as a natural coloring additive. Velveeta does provide some calcium, however just looking at natural cheddar cheese the percentage of calcium is 65% higher. Velveeta does have 4 grams of protein per serving and a small amount of vitamin A. But in the overall picture, it would be better to get these nutrients from real cheese that comes from the milk of grass-fed animals that are not injected with chemicals. These natural cheeses will provide high-quality protein and amino acids, high quality saturated fats and omega3 fatty acids. In addition, real high-quality cheese provides more minerals and vitamins including calcium, zinc, phosphorous, vitamins A, D, B2, K2 and B12. You will also reap the benefits of higher levels of CLA. If you are looking for a natural product then Velveeta is not for you. It is better to enjoy the natural cheeses that are much more nutritious and you can still make some “dips for your chips” without all those chemicals and preservatives.